There's so much to win! Prints from The Encore Print Society - The Encore Print Society is about preserving beautiful works of art and design from the past, while also providing inspiration for the field of design moving forward. The prints are produced, by hand, in their small Montreal studio, based in the basement of one of the founders, Sean's, book and record shop. They use high-quality fine art papers and professional archival inks to produce lasting Giclee prints. The Encore Print Society will send you three travel prints of your choice if you win! 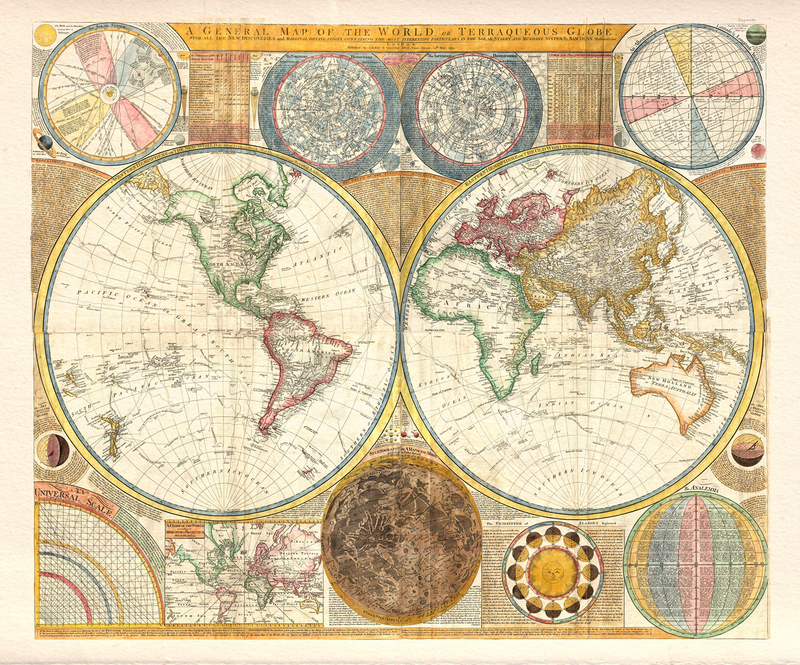 I love their vintage travel posters and antique map prints. Atlas Coffee Club 3 Month Subscription - Atlas Coffee Club works with farms from around the world to sustainably source premium and exotic coffee beans. They offer a monthly coffee subscription that brings the world of coffee to your mailbox, and into your home, every month. A month's worth of freshly roasted exotic coffee is under $20. 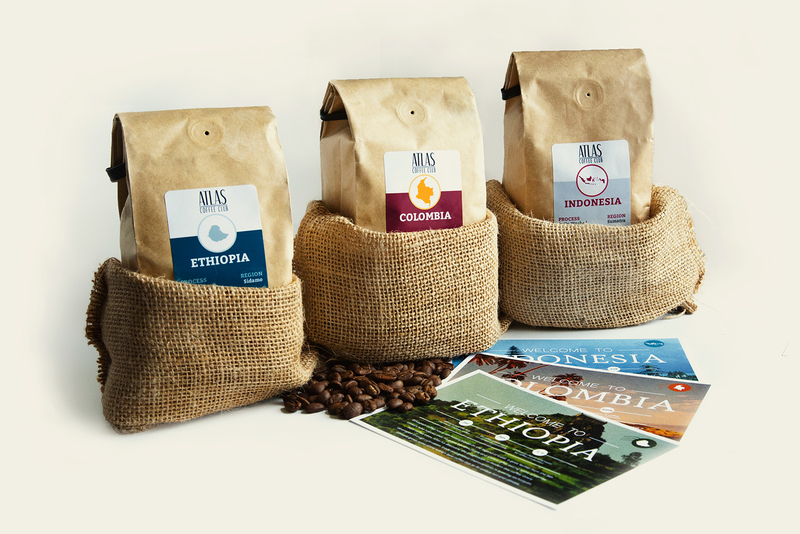 You'll also receive a postcard with each bag from the country / region's unique coffee growing methods and rich history. You can win a 3 month subscription to try their artfully roasted coffee! **Typefaces used depend on the number of characters and will be either Proxima Nova or Shelby. Sam's Naturals Ultimate Holiday Sampler - Alex loves Sam's Naturals products (and so do I). Give the gift of this awesome, all natural, sampler this holiday season - or keep it for yourself! The holiday set is packaged in a festive red box, all ready to be gifted. 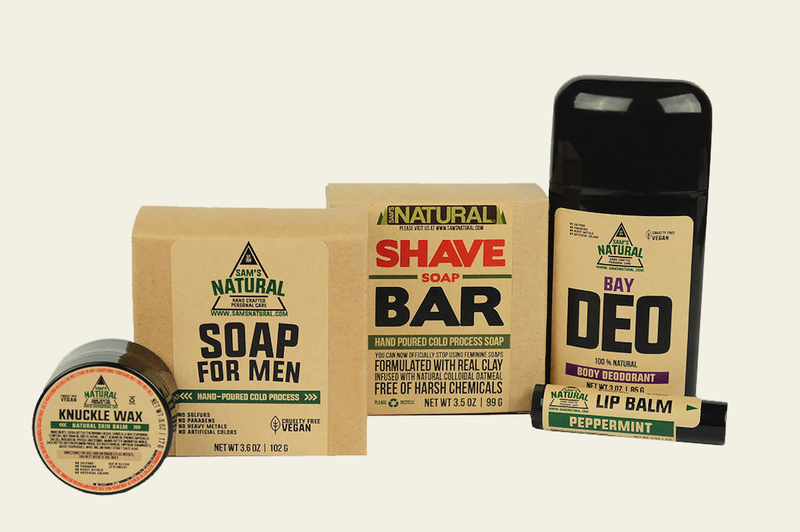 It includes a soap, shave soap, bay deodorant, knuckle wax, and peppermint lip balm! 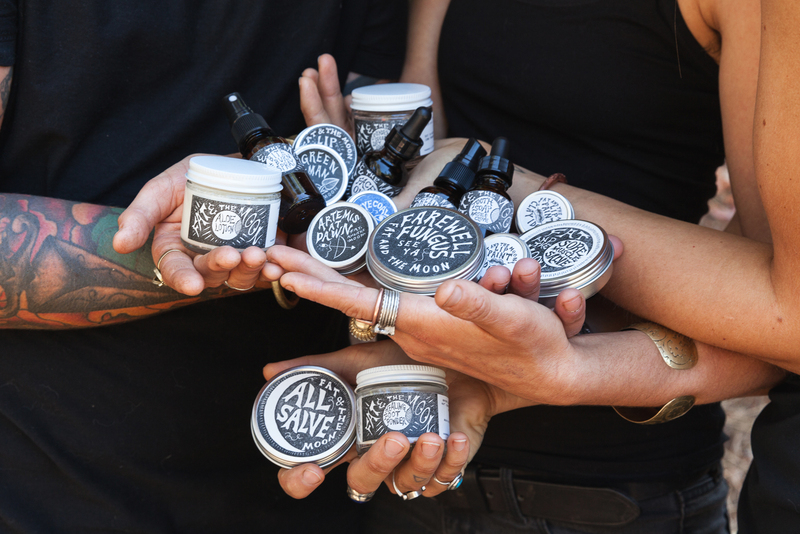 It's all handcrafted, vegan, cruelty free, and recyclable. Sam's Naturals will send this great set to the winner of the giveaway. The Art of Hair Book - My friend, Rubi, wrote a book that's filled with all kinds of tips and inspiration on exciting and classic ways to do your hair. Rubi's one of the hardest working ladies I've know and it's been so impressive to see all the gorgeous work she's done over the years. People often ask me how I do my hair while on vacation, and truthfully, I've just been really lucky that my hair holds most styles well. I've never had to do much and could kind of just leave it for a day (or a few... with dry shampoo). Unfortunately, since moving to San Francisco, the water and fog have made my locks a frizzy mess and Rubi's book inspires me to get creative with it: braids for planes and hiking, and maybe something more intricate for a night out. 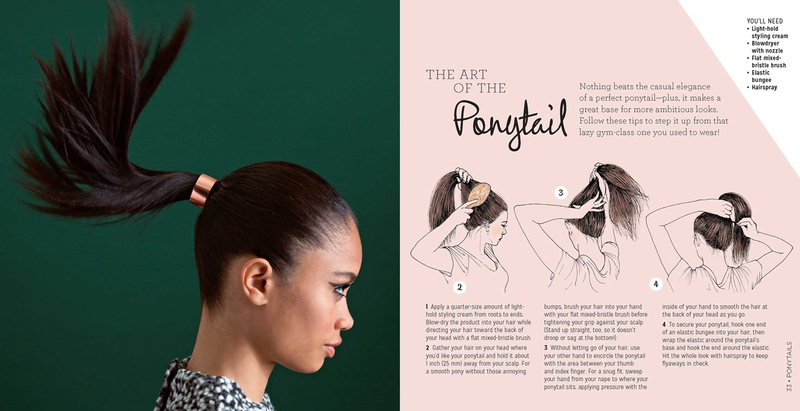 She's sending The Art of Hair: The Ultimate DIY Guide to Braids, Buns, Curls, and More to the winner! 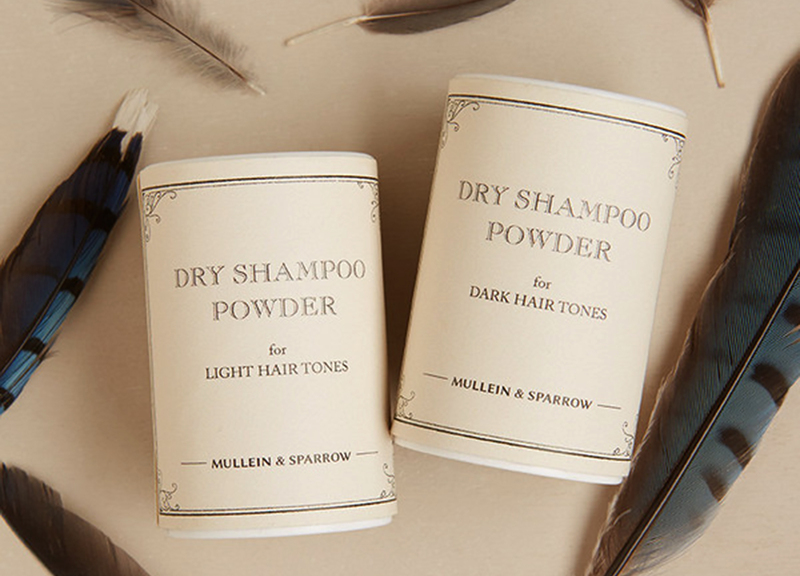 Mullein & Sparrow: A Brooklyn Botanical Dry Shampoo - I absolutely love this shop and want everything they offer. All of the items they make seems so artistically and delicately produced. I've extolled the benefits of dry shampoo several times (including in this post), so I'll spare you. Rubi turned me onto Mullein & Sparrow. I love that their dry shampoo has lavender essential oil in it so that you smell extra lovely. I used it throughout my trip in Asia and it's a lifesaver. Fat & The Moon Sage and Rose Face Mist - This bottle is the perfect size for traveling. I started using a few Fat & The Moon products after trying their lip and cheek tint. I used to think that face mists were silly because I figured you might as well just put some water in a spray bottle and call it a day, and that misting your face seemed useless, BUT before my recent trip overseas, makeup artist Liv Lundelius suggested that it was a good idea and I thought I may as well be open minded about it. It's now part of my daily routine - at least once a day and every evening. It's such a simple thing but so refreshing and rose anything makes me happy. The lucky winner will receive a travel sized bottle of Fat & The Moon's Sage and Rose Face Mist! 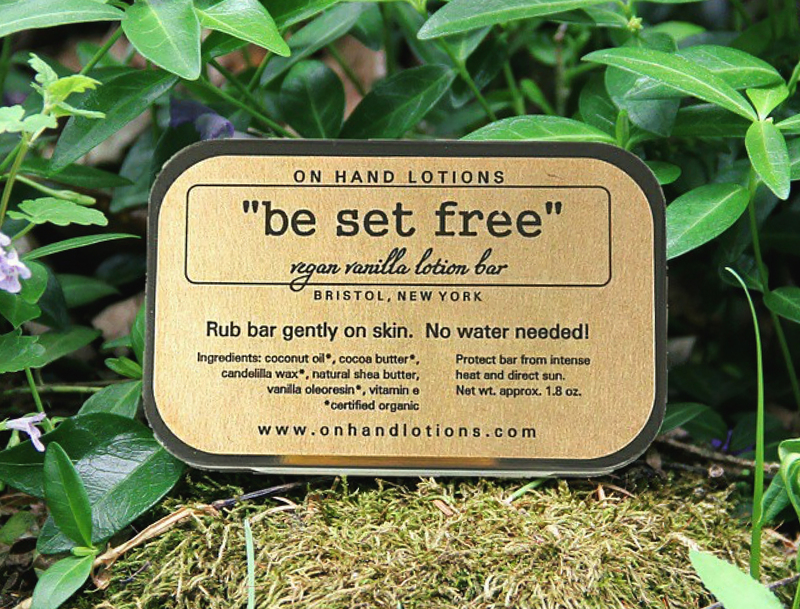 On Hand Lotions - A solid bar of lotion is so good for traveling! One less liquid to worry about. The warmth of your skin will soften the lotion bar. It feels creamy and decadent. It's perfect for weathered hands, cracked heels, chapped lips, and rough patches. On Hand Lotions will send out a small lotion bar as well as a lip balm to the winner! Earn extra entries by letting people know about the giveaway on Facebook, Twitter, or Instagram - just make sure you tag/mention us so that I can include your entry. You can leave a comment until the 10th when a winner will be chosen randomly and announced here. Good luck! Follow on tumblr! 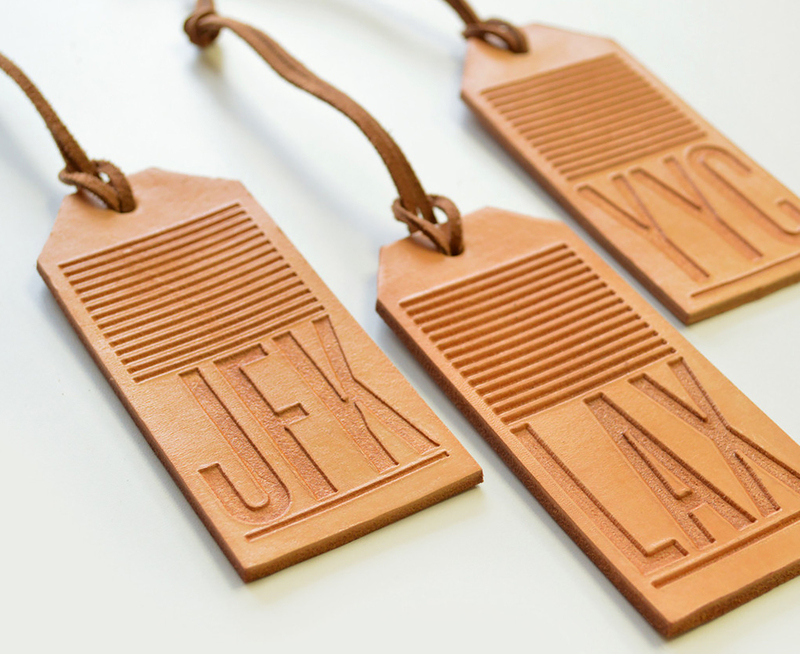 What a cool travel giveaway! I could have half my Christmas presents done if I won! And packing cubes - they're a lifesaver for staying organized on the go. Following through Tumblr & Bloglovin! I love seeing your posts come up in my Bloglovin' feed! I've been diving deep into the travel blogosphere getting ready for 6 months studying abroad in Australia and could not thank the community enough for being so open with travel tips! I think the most helpful so far has been the reminder to live in the moment and enjoy while traveling, breathe in the beauty and experience around me! I've got you on Twitter and Feedly. O wow!! I follow you guys on Bloglovin!! When traveling I tend to be like a local, which might be hard if you want to start taking pictures here and there, but it´s the best way to visit secret places and to meet amazing people! My best travel tip: go with the flow! Plans change and usually for the better. 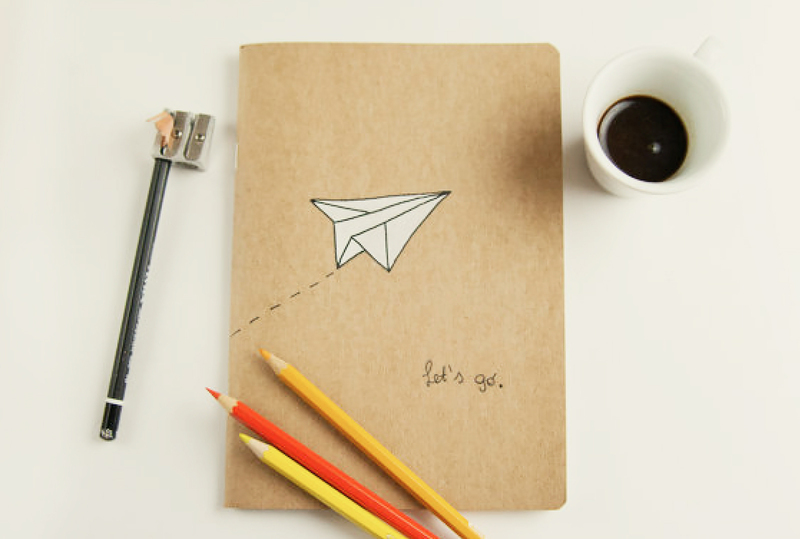 And, of couse, we follow your via Bloglovin and Instagram! I think my favorite travel trip is to learn a few phrases in the local language, so if nothing else you can smile and say thank you! Amazing! I've been a follower since your honeymoon trip! That lotion bar is so clever (lotion addict right here). I follow on feedly. Such lovely things. I follow on Feedly. My fav travel tip is to take screenshots of the local map on my phone so if coverage is spotty or if there is no wifi I can use the photos as a backup to explore. I just type in your web address :) A good travel tip is to utilize free stopovers to visit countries you never thought you'd ever visit! For example, I visited Iceland for five days using Iceland Air on a trip from London to JFK and I visited French Polynesia (went island hopping for two weeks!) on a trip from New Zealand to LAX. Another cool thing about French Polynesia (aka Bora Bora and Tahiti, etc.) is that there is a wide variety of accommodation making travel possible for those on a budget! 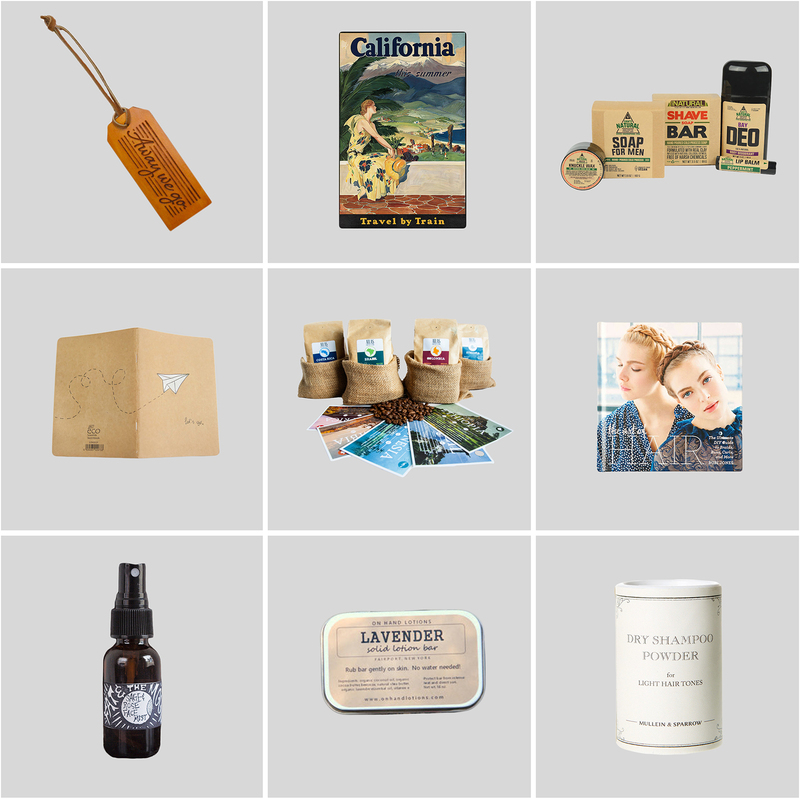 Great giveaway of awesome travel products! I want to try the sam's naturals peppermint lip balm! So festive! And I'm curious about the knuckle wax! very cool. I follow you in all of the above areas! I'm probably on Facebook most regularly, but when I'm feeling in need of some visual inspiration, I'll look through old Pinterest images! My travel tip would be to be open to surprises and adventure... you never know what you might discover or who you might meet! Following on Twitter @MunchTalks! 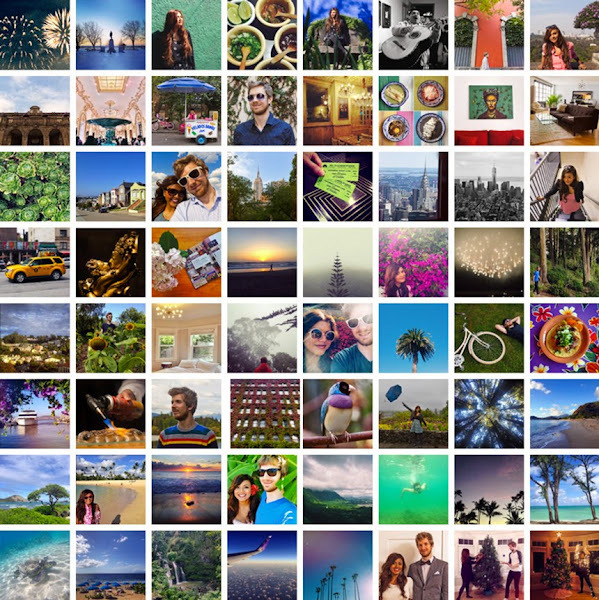 I just love following you and seeing all the visual fun you share! Aloha! I follow on blogger. My favorite travel tip: only plan as much as is needed...let the rest come to you! I follow on Instagram and Facebook. You guys are my favourite travel bloggers hands down and I've been so inspired by you! Oh my goodness, all of these look amazing! I've been following for man years and currently use Feedly. My travel tip is use couch surfing, it's an adventure and you meet great new friends! Very cool and thanks! I follow along on feedly. Beautiful pictures, hope I will get a chance in the future to do the same like you.Thank you! P.S. :I am so excited for the giveaway!!! And I've joined your Instagram today! !